The Aqua 40 is available in Black and Silver. Designed to the latest safety standard the Aqua 40 is ultra safe. Extensive manual to make start up simple included. - Please note heater not included. If you are planning to keep tropical fish you'll require a heater. 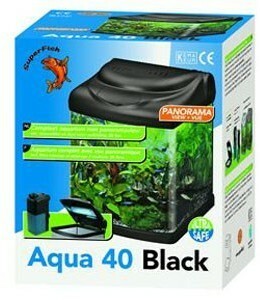 Ideal compact fish tank for those who love fish.